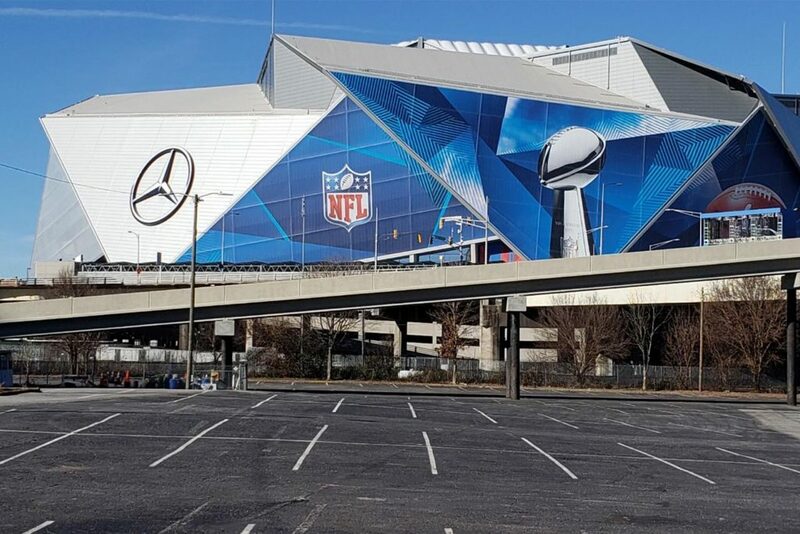 Two months ago, Atlanta, Georgia played host to Super Bowl LIII. Two years of planning led up to the big game on Sunday, Feb. 3rd, 2019. 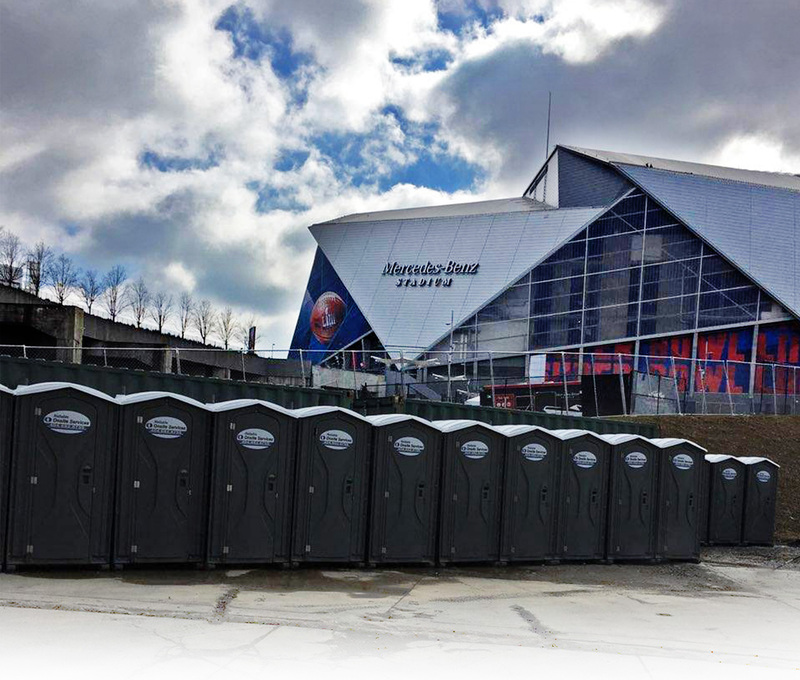 Although it was the lowest scoring Super Bowl in history, the city and the professionals managing the sanitation at the event scored big! 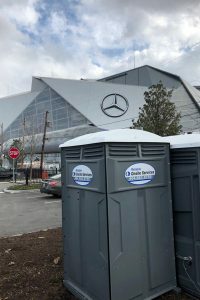 There were 10,000 volunteers helping at the event, thousands of employees inside the $1.5 billion Mercedes-Benz stadium, 100 million people tuning in via television, and an estimated 125,000 traveling visitors in the downtown Atlanta area alone. 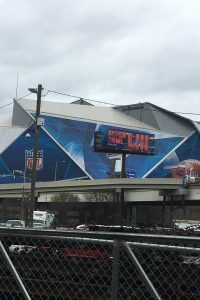 We’re not reporting on these numbers to show off how well Atlanta made out from an economic standpoint, but to shine a light on the sheer volume of people who will inevitably have to ‘go’ during the big game. Thousands of hotel rooms were booked, tens of millions of dollars were invested, and hundreds of companies were vying for the right to supply things like carpeting, catering, ice, flowers, golf carts, paint, piping, and especially portable restrooms. 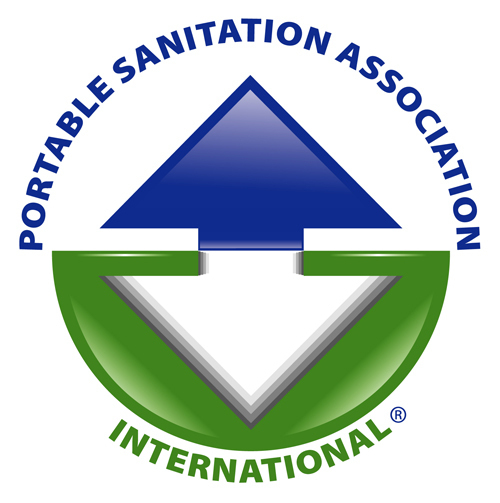 So, who wound up with the rights to provide the sanitation solution for the event? We’re proud to say it was one of our customers, Reliable Onsite Services – a business of United Rentals. We were fortunate enough to get a Q&A with ROS (Reliable Onsite Services), to discover what it takes to manage such an event. Interview with Phil Vetter | District Manager – Southeast | Reliable Onsite Services, by Michelle Amelse | Director of Marketing, Satellite | PolyPortables. 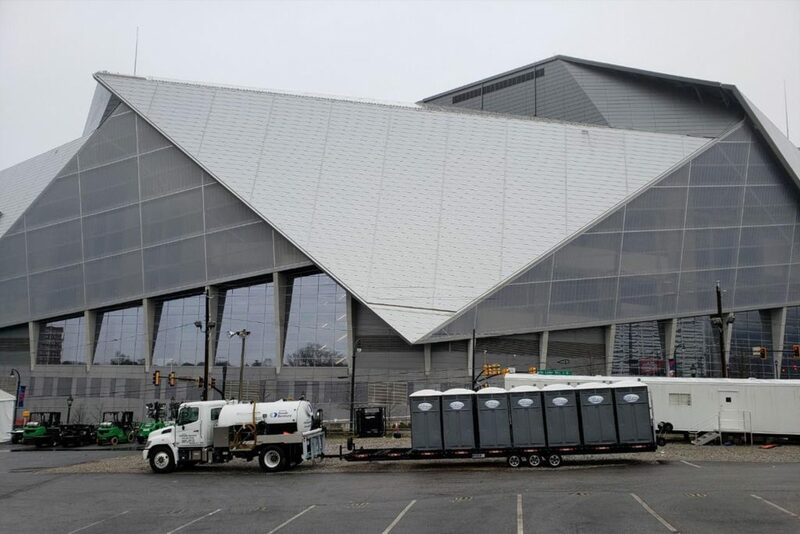 What does it feel like to manage sanitation at the largest sporting event in the US (Super Bowl LIII) –the 4th largest sporting event in the world?! How long does it take to set up for an event of this size? Most large events typically take 3 to 4 weeks of planning, delivering and set-up. The Super Bowl was much more involved. Our initial discussions for planning began nearly a year prior. Although it’s a year away, we’re already planning for the 2020 event (Hard Rock Stadium, Miami Gardens, FL). How many units are in the field at one time? Several hundred plastic units and 4 restroom trailers. How many employees (drivers, operators, coordinators, etc..) does it take to pull off a job of this magnitude? All hands were on deck; we had branch managers, dispatchers, service technicians, and support from other locations during the entire week of the Super Bowl. How many services did your crew have to provide each day, to keep up with such a large volume of people? During peak hours, every unit was serviced at least once. That said, there were several locations that needed multiple services daily. The total number of services went into the thousands over the duration of the event. Your company specializes in everything from small-scale private functions, to large concerts and other major events – speak to some of the strengths of the company that have made you so versatile in your service range. 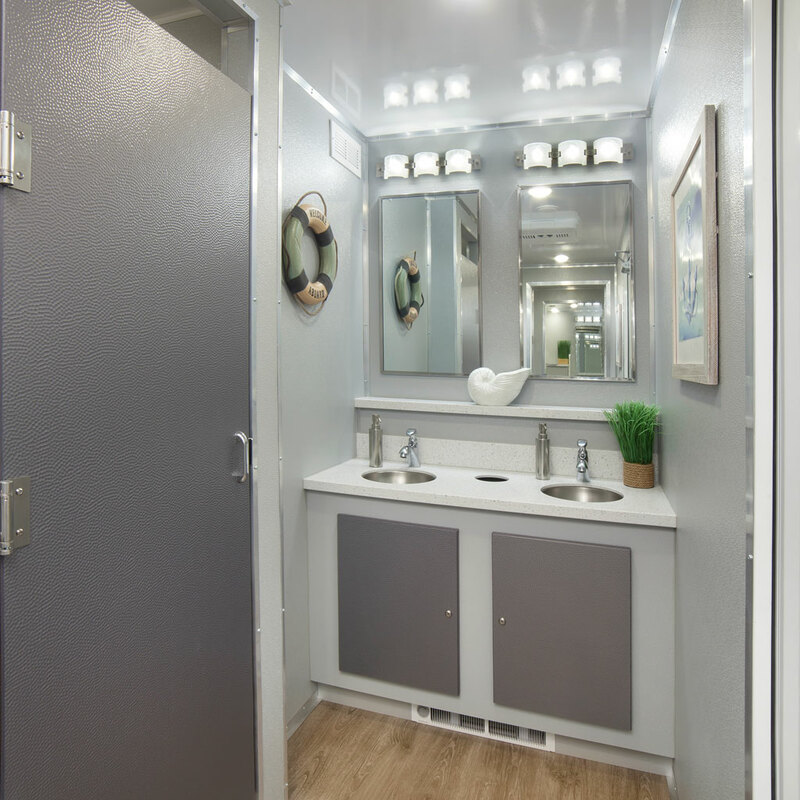 While we are a large company, we still operate at a local level, with local management, and that gives us the opportunity to be very agile to respond to jobs as small as 2 restrooms and as large as 2,000 restrooms…. We have access to resources in the local location, and can also pull resources from other regional locations nearby. We can move people and resources quickly, in order to service any event. Are you looking forward to more events like this in the future? 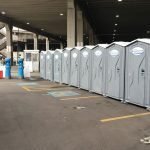 Absolutely… we will continue to do major events like this one across the country with many of our existing United Rentals customers… Our success is based on creating a “turnkey” solution for our customers and bringing significant value as a one-stop shop. 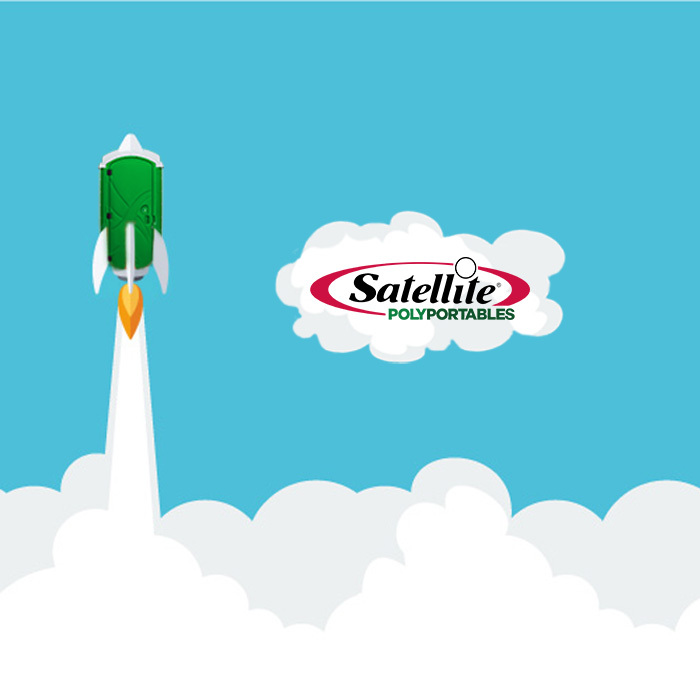 At Satellite|PolyPortables, we know the value in acquiring and maintaining contracts for special events. Whether you’re a start-up company looking for advice or a well-established corporation that needs more equipment, we’ve got the solution for you.